If you want to do it up big, go to Billy Bob's Texas in Fort Worth. For 30 years it's been the largest honky tonk in the world. 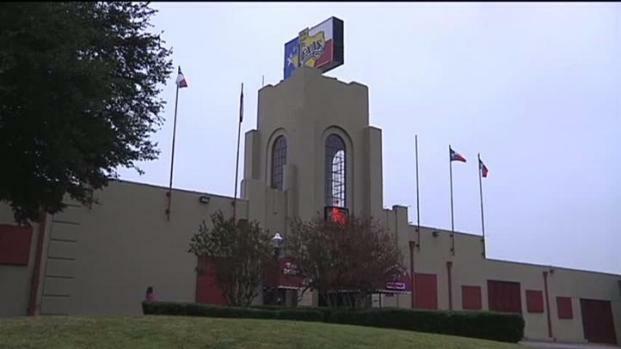 Billy Bob’s opened April 1st, 1981 and recently celebrated its 30th anniversary. The building is 127,000 square feet of fun that can hold 6,000 people and hosts 110 shows a year ranging from BB King to Willie Nelson. Bar sales are big too. There are 27 bar stations across the sprawling honky tonk. Billy Bob’s once sold 16,000 bottles of beer in a single night. The food, drinks, events, and even the celebrity history collection are bigger at Billy Bob's Texas, the "World's Largest Honky Tonk" in the Fort Worth Stockyards. The venue once held the Guinness Book of World Records for the largest round of shots with 5,000 shots of whiskey. Another night saw the business blow through 72 bottles of Crown Royal. In fact, their liquor storeroom looks like a mini-ware house. Depending on size, the wooden shelves store bottles eight to ten deep. “If this were the bank this would be the vault that would be a good way to put it. This is where we keep all our liquor backup,” said General Manager Marty Travis. Billy Bob’s is also home to a restaurant nestled by the main stage. It’s known for a five-pound chicken fried steak sandwich served with enough sides to topple the scale to six pounds. The bun to hold it all is huge and was very hard to find. But patrons can get a regular bun with normal-sized fare like hamburgers and hot dogs -- or just enjoy the autographed burger buns hanging on the walls. The wooden cases house shellacked buns signed by artists and celebrities. The most unique may be the one signed by basketball star Yao Ming. “My food service manager started getting jealous of all my autographed guitars so we started doing hamburgers buns and we’ve got well over 100,” Travis says. The 100th bun is painted gold and signed by Merle Haggard. If you’re looking for memorabilia then you’ll want to go to the Guitar Bar right next to the bull riding arena. It’s famous for being lit only by neon signs. There are no regular lights in the room. Something else special is the collection of autographed guitars from stars ranging from Brett Michaels to Cody Canada who broke a guitar at Billy Bob’s. Backstage is also a place memorializing those who have performed there. The walls are decorated with hand drawn logos of bands complimented with their autographs. “When you do 110 shows a year and not a lot of repeats, you get a lot of opportunities,” said Travis. Since that area is backstage, the general public isn’t allowed to see the shrine of those who have graced the stage. More homages to celebrities line the walls with their signatures and hands cast in concrete. Artists ranging from Ringo to Trace Adkins have made their visit to Billy Bob’s permanent. One of the more famous hand prints, Garth Brooks, is anchored at least seven to eight feet high. The steep climb doesn’t stop women from having their boyfriends lift them up to kiss it. Though many bars might have mechanical bull riding, Billy Bob's has something much more unique -- live bull riding every Friday and Saturday night. “I don’t know of any other bars that have live bull riding inside the venue,” said Travis. In the last three decades, Billy Bob’s has had more than 40,000 bulls ride in the arena. “It gives people a really close personal look at live 2,000 pound animal trying to kick a cowboy off their back,” said Travis. It's all part of an experience you can only find at Billy Bob’s Texas -- where what’s different, huge and fantastic is normal.